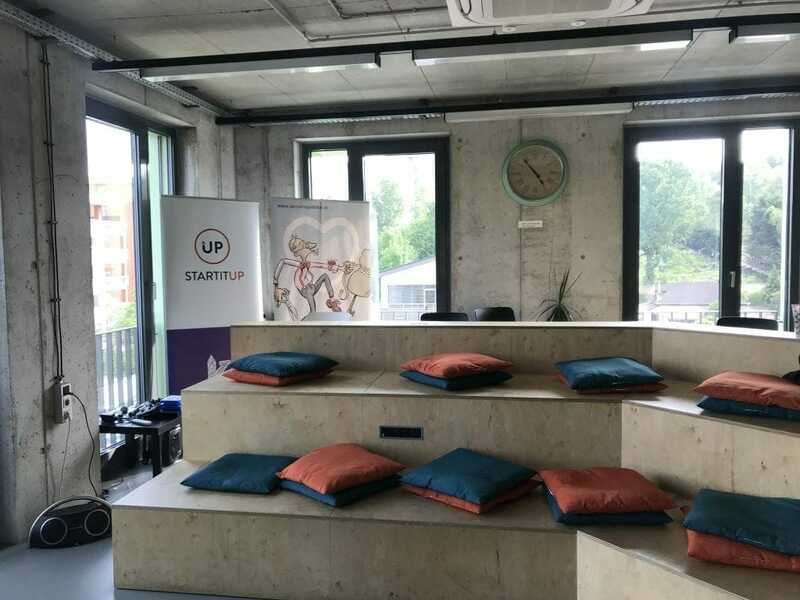 Bratislava, the tiny little — and beautiful — capital of Slovakia, with a population of just under half-a-million, was a positive surprise to me with its diverse ecosystem of coworking spaces. I was aware that Slovakia, being a home of strong talent fueled by the local engineering and technology schools in Bratislava has been a center of attraction for major tech companies, and is now standing up with its start-ups, which tend to be internationally focused from Day 1 given the tiny size of local market. And with no surprise, coworking spaces are a major enabler of this ecosystem. As I arrived in Bratislava on a Friday afternoon after a 2.5 hour train ride from Budapest, I was on my way to Atelier immediately after I dumped my luggage in the hotel. Atelier is a mini-coworking space, located in the big building of University of Technology on Racienska 71. It’s small, with 8-10 desks, a meeting room and a cool chill-out area. They are focused on their community of positively-thinking people who would enjoy working together vs the daily and occasional coworkers. I found it quite cosy, especially their retro chill-out area, and the kitchen wall covered with pictures of the geniuses! They are offering only monthly and longer memberships. My next visit was to New Cvernovka, on the same Racienska street as Atelier, and two stops away on no. 78 on the 5th floor of the Cvernovka Cultural & Creative Center. My visit did not last too long though, as they were fully booked for a conference. 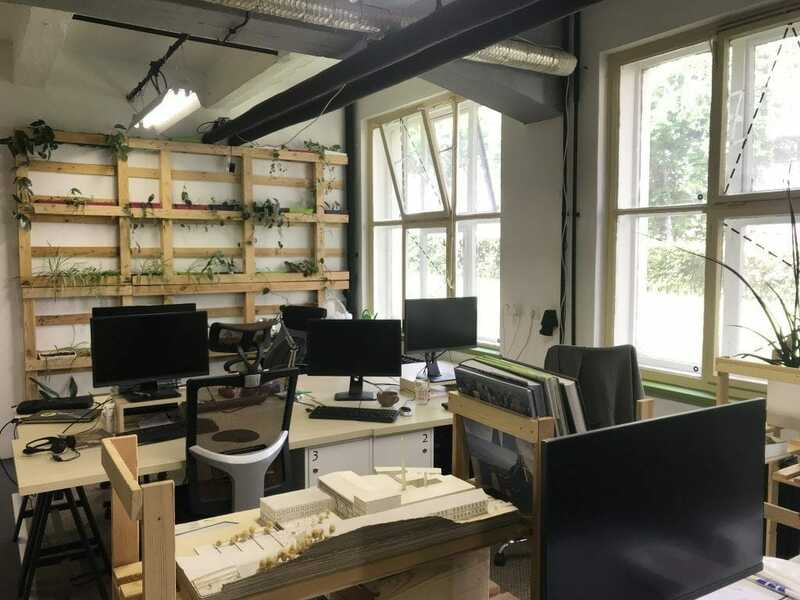 They are offering a variety of options of fixed and flexible desks, coworking area, meeting rooms, a children’s playground for coworking mums, an event space for 80 people and a bistro. Then I took the bus to the other side of the city, to Karlova Ves, to the beautifully designed 0100 Campus. It took me a while to find the entrance as the pin on Google Maps is a bit misleading, but it may also just be me! Once you get inside, you are greeted by a good mix of refreshing green and white colors and a big space with a cafe and chill-out area on side and a large open-air terrace on the other with desks, private offices and meeting rooms in the middle. They have an international community of start-ups entrepreneurs and students. They are focusing on building a community of sharing and collaboration. They were running a workshop to teach kids programming when I was there, which is one of the many workshops they are running to help develop students and youth in their entrepreneurial journey as Tereze Kmecova, 0100 Campus’s Relationship Manager, who gladly showed me around, explained enthusiastically. They are now planning to open their second location in Bratislava. I had to call it a day as it was already past 5pm, which means coworking spaces usually get quiet, but more importantly, my team, Fenerbahce, was to play in the semifinal on the Euroleague, and I had to find a nice spot to watch in the Old Town of Bratislava. The weekends are usually quiet for coworking spaces in any town, however Matej, founder of Progressbar, was very kind to meet me to show his space on Dunajska 14. This coworking space is one very big room with high ceilings, still with well located areas for a meeting room, chill-out area with retro couches and desks. “We are still building it though” said Matej, as he explained how they will add an elevated area to make a distinct event space, and possibly expand further with the bar downstairs. This is a very interesting “must visit” place when you are in Bratislava not only for the space, but also for the very interesting blockchain and cryptocurrency discussions with Matej, as well as to see their door access management system they built themselves on Telegram. Dvojbodka was next on my list, as they had also kindly offered to meet me on a Saturday They are centrally located on Šoltésovej 3, behind the Palace of Justice, and are small, very small, however is a perfect fit for those who are looking for a quiet and peaceful environment, and are willing to work in a family-like environment of inspirational and independent professionals. They are offering a fully-equipped kitchen and a small meeting room, on top of the 12 desks they have. 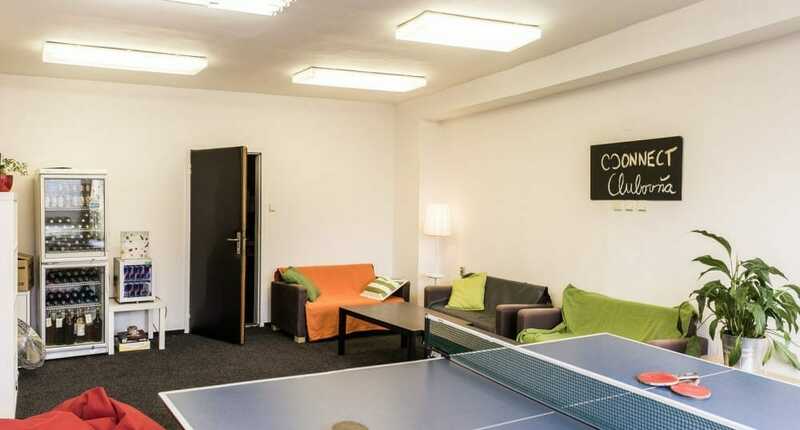 Having been founded in 2013, they are one of the first coworking spaces in Bratislava. Later, I stopped by Satori Stage, which offers coworking desks on top of their main business of event space and cafe. They were so busy as they were one of the co-hosts of the street festival running that day, so I had to come the next day to meet Andrej. As you enter, their beautiful cafe greets you warmly. The event space is at the back side, and was getting ready to host a clothes-swapping event Sunday afternoon. 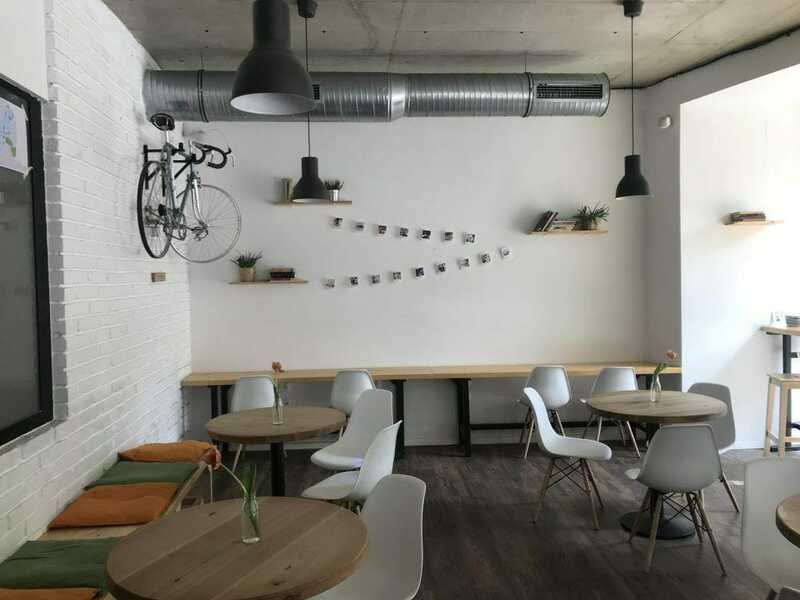 Their coworking space is actually one mid-size room for 6-8 people, however the opportunity to use the cafe or event area makes it quite attractive. They are offering hourly usage at 4 euro/hour (with a maximum cap of 16 euros/day for as long as you need it) that includes the free coffee and tea! 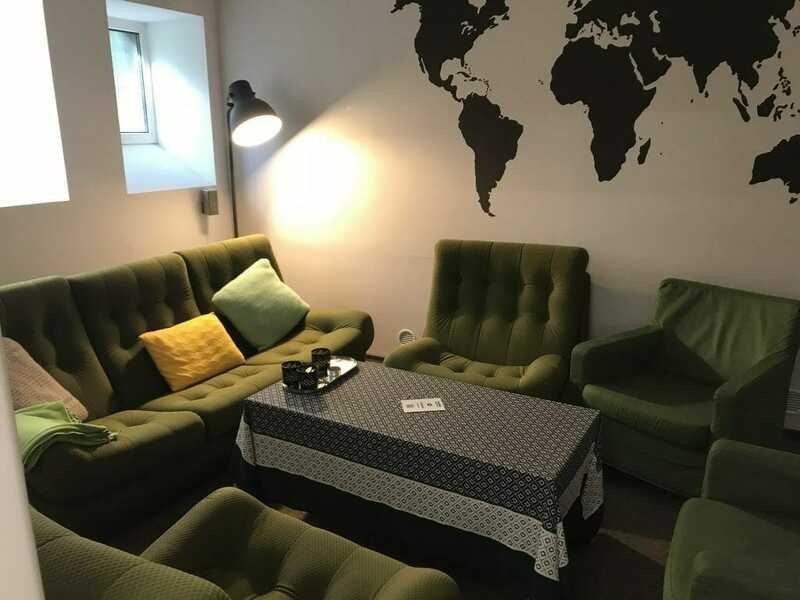 Being located so centrally at Mickiewiczova 9, it’s a no-miss coworking space for you in Bratislava. Monday started with a visit to Rubixlab, a very colorful coworking space, that doubles as an Incubator in the north of downtown, on Jegeho 2. It’s located in a historical building with high-ceilings, and the large coworking area gives you a good feeling of openness. As it’s on the 5th floor, make sure you use the elevator, unlike me! Adriana, who manages the space, showed me around and mentioned they are offering a variety of membership options for private offices, fixed and flexible desks as well as a networking-only membership which gives free or discounted access to Rubixlab’s events. 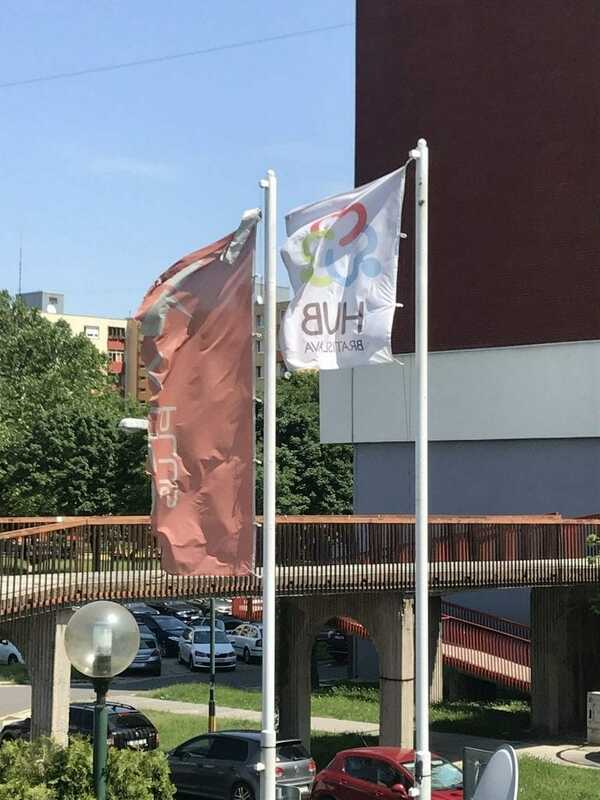 My next visit was to Hub Bratislava, on the other side of the Danube, on Černyševského 10. This is one of the bigger coworking spaces in town, with a bigger focus on private offices, as well as offering virtual offices and a relatively small coworking area, shared offices and meeting rooms of different sizes. Impact Hub Bratislava is just in the old town, overlooking a nice square and park. 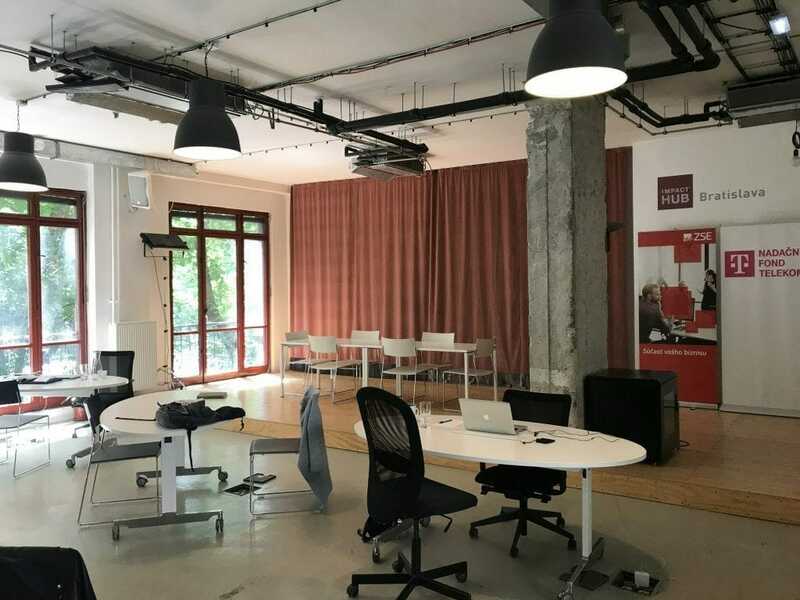 As in any coworking space in the Impact Hub network, they are offering a complete coworking experience with well-designed flexible and fixed desk areas, and a large area for chill-out, networking and team collaboration. Their meeting and skype rooms were fully booked at the time I was visiting, which is a sign of their popularity I guess. My next stop was Offis.sk, just off the Old Town, on Kozia 11. Although I was in the right building, I just could not find the entrance, so had to call their number to ask how to get in, only to learn to my disappointment that they are about to be closing down their business. What a pity! 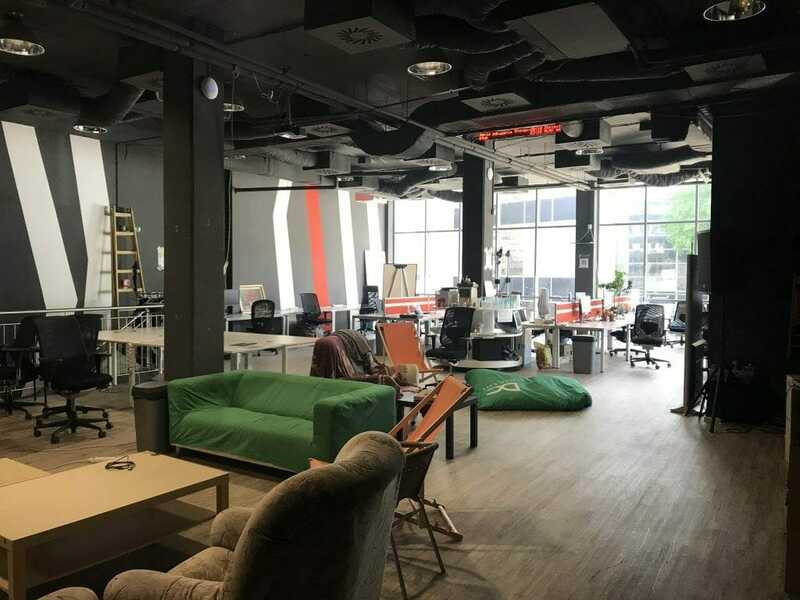 My last stop in Bratislava was to Connect Coworking, which has multiple locations, and I visited their smaller location on Košická 37, located on the 3rd floor of a big, old government building. They are founded in 2011, which I think makes them the oldest in town! 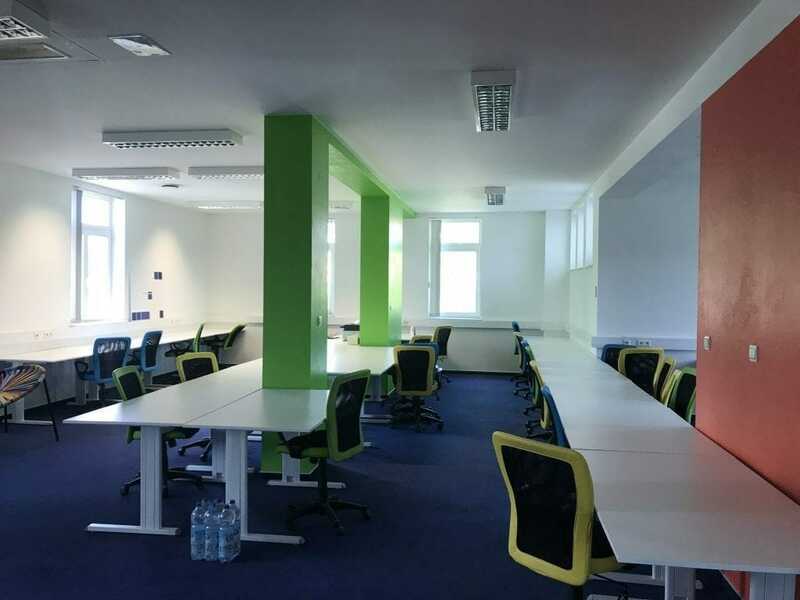 Whether you are a freelancer, a small business, a digital nomad or a start-up, or willing to run a big event, or just need a desk occasionally, Connect probably has something for you with their various options of spaces and memberships. There were few other coworking spaces that I regretfully missed to visit as I had to catch my train back. This was just one other awesome coworking trip that once continued to prove that “every coworking space is unique,” but not only that. Bratislava is a beautiful city with a long and proud history shared by many cultures. 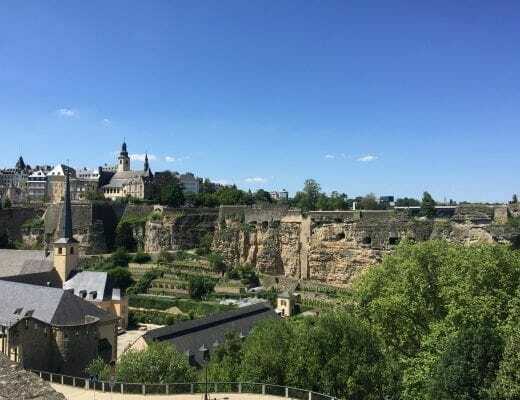 There is an impressive range of architecture, and strolling in the tiny streets of the old town you discover a new amazing building on your right, left, up, down, every time you pass by. The entrepreneur scene is growing fast, and it may well have one of the higher coworking space to population ratios in the region, and apparently it will just be getting better. As a personal note, I am happy and excited to add Bratislava to the Cowork7/24 platform where you are hopefully soon be able to book an awesome desk or meeting or meet a vibrant community whenever you need one! I hope more readers like me will benefit from the information present on the website. Thanks to the writer.